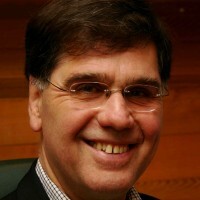 Allan Best, PhD is Managing Director, InSource; Associate Scientist, Vancouver Coastal Health Research Institute; and Clinical Professor Emeritus; University of British Columbia. InSource is a Vancouver-based health services and population health research group with expertise in knowledge translation and exchange, systems thinking, and communications. It serves health systems decision makers, offering innovative “whole systems” research, planning, and evaluation tools to support large-scale organizational change. Allan was the founding Chair of the Department of Health Studies at the University of Waterloo in Canada, the world’s first interdisciplinary department inte¬grating the biological and behavioural sciences to study health promotion. He has been elected Fellow for outstanding research contribution by the Canadian Academy of Health Sciences, Canadian Psychological Association, Society of Behavioral Medicine, American Psychological Association, and American Academy for Health Behavior. Allan was awarded the 1996 O. Harold Warwick prize by the National Cancer Institute of Canada for contributions to cancer control.